The Northwestern Foothills 2A high school baseball title race could be decided by the end of the week – and potentially by the result of one game on Friday. As the next-to-last week of the regular season begins, Fred T. Foard (10-2, 8-1) and Hibriten (11-4, 8-1) share the conference lead with very little drama behind them, as every other team in the seven-team league has at least four conference losses. Hibriten has the league’s open date on Tuesday while Foard goes to third-place Bunker Hill for a game on Tuesday night. Hibriten plays a non-conference game on Wednesday night at Watauga, leading into a head-to-head battle with Foard on Friday at 7 p.m. at Foard. The Tigers’ only league loss so far came on March 14 at home against Bunker Hill, falling 15-2. Foard handed Hibriten its only conference loss, 11-5 at Hibriten on March 19. The Northwestern Foothills 2A plays a 12-game conference schedule with league play ending on April 17. The conference tournament won’t begin until April 30 and continues through May 3. The Tigers ran their win streak to eight games, wiping out the Panthers’ early 5-4 lead, to win a conference game. Foard scored in the fourth inning for a 5-all tie, scored a run in the sixth to lead 6-5 and then had a nine-run seventh inning to blow it open. Jack Colosimo went 2-for-4 and drove in three runs, Clay Patterson had two hits and two RBIs and Jeremiah Wike drove in three runs and Hayden Lail went 4-for-4 with an RBI for Foard. Peyton Smith pitched 5 2/3 innings for the Tigers, allowing nine hits, six runs (five earned), walking three and striking out seven. Ethan Pons had two hits and an RBI and Matthew Byrd added two hits for Patton (5-10, 4-5), in fourth place and a half-game back of third-place Bunker Hill. Dakota London worked six innings for the Panthers, giving up six hits, seven runs (five earned) with three walks and 12 strikeouts. Foard scored more than 10 runs for the sixth time this season. Patton is at home on Tuesday night at 7 p.m., facing Draughn, and Foard’s game at Bunker Hill on Tuesday is at 7 p.m.
Ethan Watson had three hits, drove in two runs and was the winning pitcher as the Panthers won a conference game at home. Hibriten scored three runs in the second and the rest of its runs in the seventh inning, hitting double-digits in scoring for the ninth time this season and for the fifth time in six games. Tyler Watson, Joshua Crisp and Mason Reynolds each added two RBIs for the Panthers, who held the Bears (7-5, 4-4) to five hits. Watson pitched five innings, allowing five hits, no runs and no walks with three strikeouts for Hibriten. 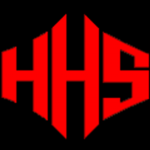 Bunker Hill was shutout for the second time in three games and has lost two of its last three after having a six-game win streak. The Tigers led 1-0 after one inning and added four runs in the second and third innings, three in the fourth and four in the fifth to 10-run the host Panthers. Foard (9-5 7-2) shares second place with Hibriten, both trailing Draughn (11-2, 6-1) by one game. The Tigers face Bunker Hill on the road on Tuesday at 6 p.m. while Patton is at home, same start time, on Tuesday against Draughn. Rachel Crombie had the only goal, on an assist by Charity Crutchfield, as the Tigers won a league match on the road. Alexis Woglemuth had three saves in goal for Foard (12-2-1, 7-0-0) while Carrigan Causby made five saves for Patton. Foard is in first place in the conference with five league matches to go with West Iredell (6-1-0) a match behind. Patton (11-4-0, 4-3-0) shares third place with Hibriten. 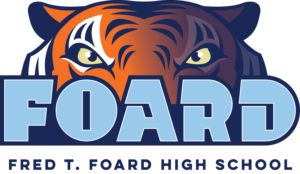 Foard plays a non-league match at Crest on Monday at 6:30 p.m., then faces Bunker Hill on the road on Tuesday at 6:45 p.m. in a conference match. Patton plays Tuesday at home at 6 p.m. against Draughn. Information for the roundup includes reports by: Sophia Elliott, Fred T. Foard girls soccer.